Sometimes it’s hard to remember that Kylie Jenner is only a teenager. With all the controversy surrounding her and the risque fashion choices, we forget that Kylie is actually the baby of the Kardashian-Jenner clan. The reality star recently turned 19 and celebrated her special day on a boat with sister Kendall and a few of their friends. 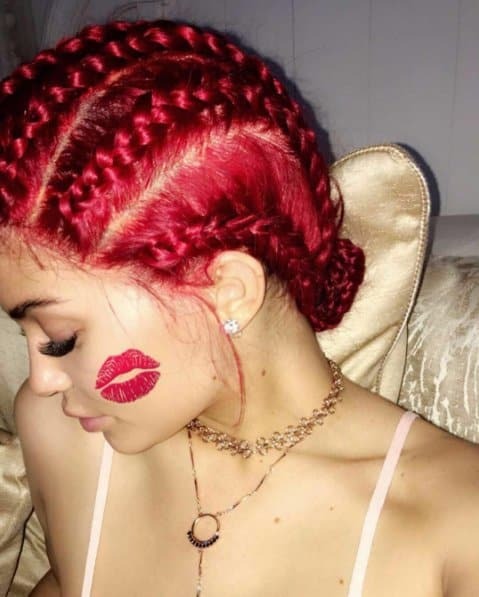 Kylie showed off her famous curves in a red bikini, choosing to style her look with a multitude of body chain jewelry pieces that added even more sizzle to her red hot summer outfit. At one point, the makeup mogul also matched her red bikini with temporary fiery-braided locks. Naturally, no Kardashian event would be complete without Instagram pics. So, Kylie posted a series of Instagram photos to share her birthday celebration with her 71 million followers. 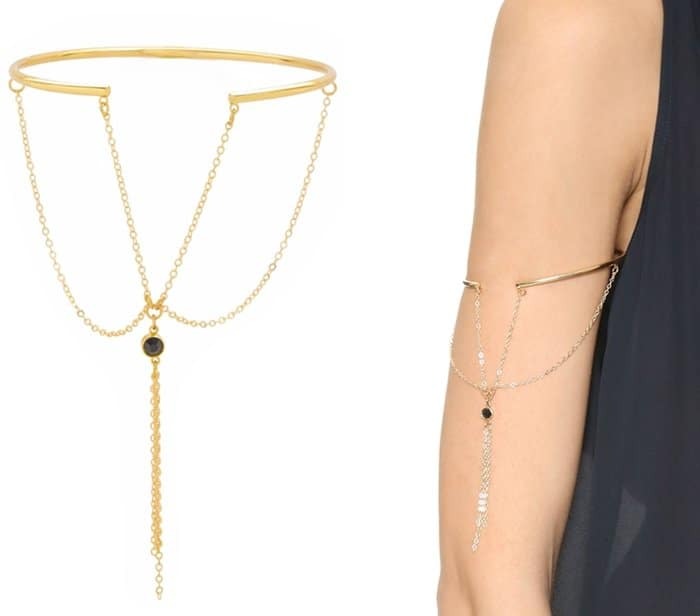 Kylie’s body chain pieces are still unidentified but we did find great alternatives to pair with your favorite bikinis. Choose from our picks below.